Rebar end symbol is an extension which with rebar couplers and end anchors / coupler can be shown as symbols in drawing views. Why is this extension needed? Couplers / end anchors are shown in drawings as parts by default. If user has wanted to show only some bars in a (e.g. bar in the middle) group he/she has needed to select all parts and manually hide these unwanted coupler / end anchor part. This workflow has been rather time consuming and Rebar end symbol extension now enhances it. A drawing view is a container for model and drawing objects. A drawing can include several drawing views, which usually are two-dimensional views, plane views, to the model. 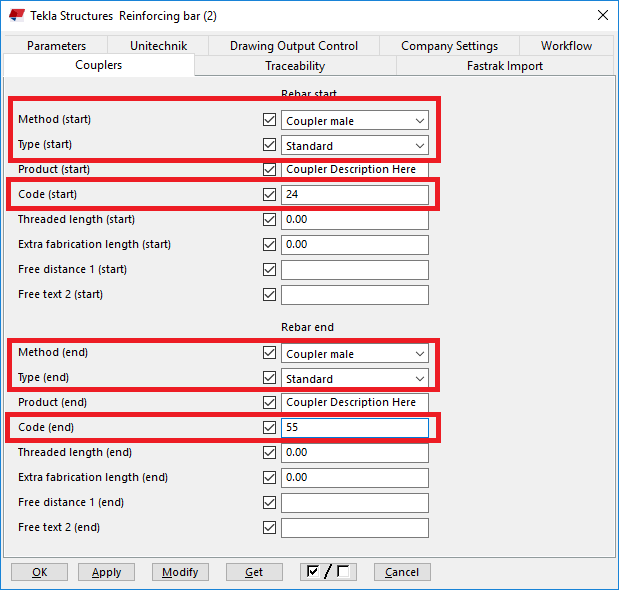 Examples of drawing views in Tekla Structures include main views, section views, single-part views, and 3D views.
. Rebar end symbol displays couplers / end anchors wherever attached rebars are visible in drawings. 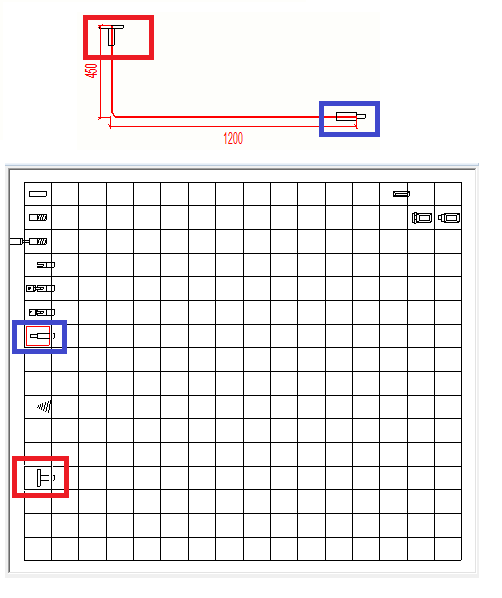 User hasn't been able to customize how the couplers / end anchors are shown in drawings, but now that is possible.
. 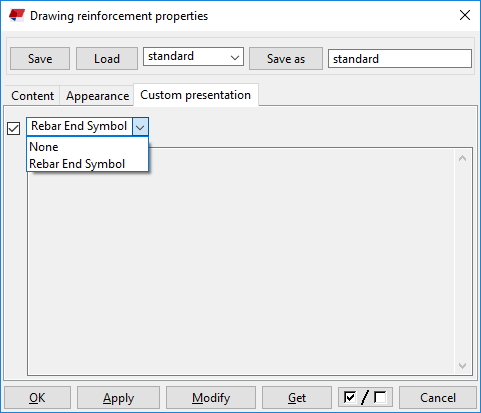 When it has been installed, the tool can be found listed under custom presentation tab of drawing reinforcement properties dialog. You can customize how the symbols for couplers and end anchors are shown by editing the symbols and their mappings. Tekla Structures stores all files associated with a model in a folder it creates with the same name as the model database (.db1). In multi-user mode all users access the same model folder. In Tekla Structures, advanced options are settings that are used, for example, in a specific project or geographical area, or by a specific company. In Tekla Structures, advanced options usually begin with the initials XS and are followed by the name of the function, for example XS_BACKGROUND_COLOR. XS_PROJECT , XS_FIRM , and XS_SYSTEM. For instructions on how to control the mapping, see the RebarCoupler.Symbols.dat file. The symbol file in use can be changed in the symbol files dialog box. name and symbol number in the configuration file RebarCoupler.Symbols.dat. 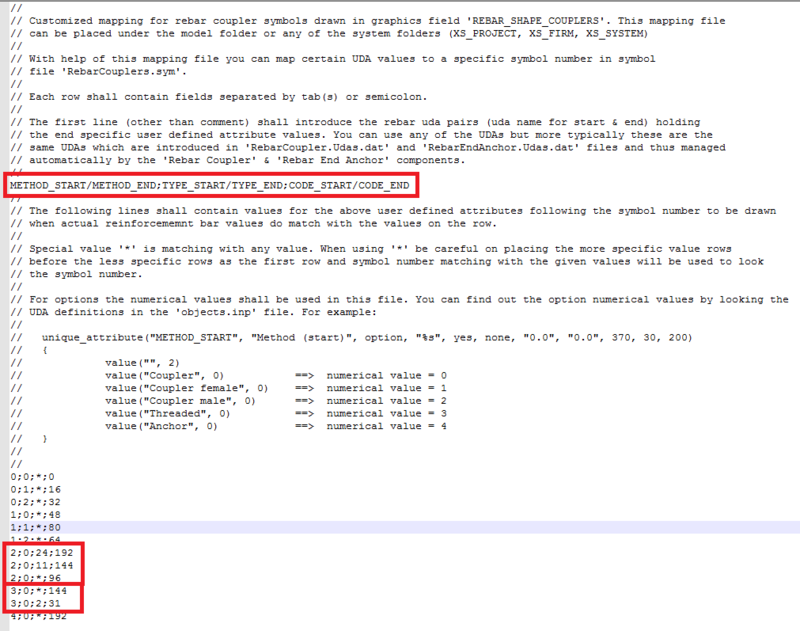 If the symbol file name is not given, the default file ( CouplerSymbols.sym ) will be used. For more details, see sample files included in the environments. The steel bars are usually ribbed and they are used to increase the tensile strength of concrete. The symbols are saved in symbol files. Typical record in RebarCoupler.Symbols.dat as below. The above highlighted records, each column represents the following attributes. User-defined attributes are used when the predefined object properties are not sufficient but more properties are needed. For example, comment, locked, and erection status are user-defined attributes. (METHOD_START / METHOD_END) as per above file image. 2nd value - the value stored in rebar UDA (TYPE_START / TYPE_END) as per above file image. 3rd value - the value stored in rebar UDA (CODE_START / CODE_END) as per above file image. 5th value - Symbol index reference in symbol file. 2;0;*;CouplerSymbols;96 and it matches with end of the rebar UDA since 55 code is not exist in records however '*' can take any value. The drawing presentation as below for start of rebar (short leg) and end of rebar (longer length). 3;0;2;CouplerSymbols;31 and it matches with end of the rebar UDA (3;0;2) however as per current procedure it picks the record 3;0;* since it appears first and it rakes all code values. To avoid such issue keep the records at bootom which contains '*'. Symbols are shown only when couplers / end anchors are connected to a rebar leg which is parallel to drawing view. Extension is not applicable to show end anchor / coupler in 3D views. The symbols are picked first match record from RebarCoupler.Symbols.dat file.